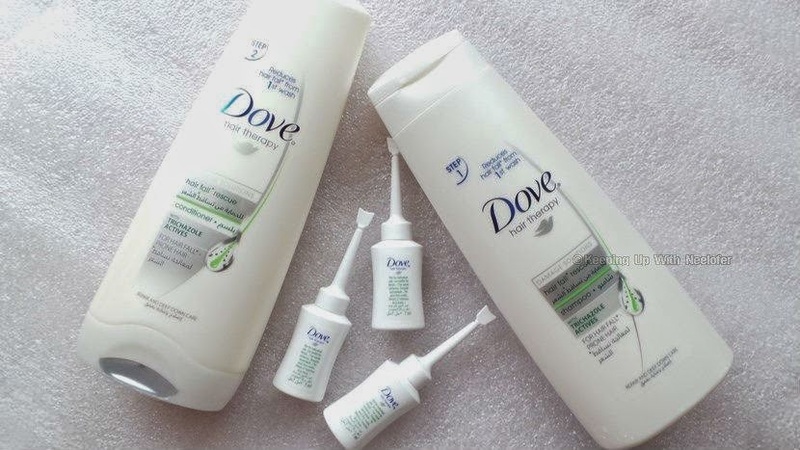 If you ask me to list the top 10 brands that I blindly trust, Dove will be one of the top 3. Dove is a brand that is dear to me. I still remember the 1990s(?) ad that featured the classic white & blue soap pack and the litmus test. I also remember the magic of using Dove soap regularly- the result was revealed when a friend in school exclaimed, "You have really soft hands. What cream do you use?". I didn't tell her (Oh, c'mon! I wanted to be the girl with the softest hands!). I trust Dove. I love Dove. I can recollect the time when the brand first launched its shampoo. I made a beeline to the supermarket aisle and grabbed the product. Within the first wash and there's no exaggeration here, my hair was instantly softer. I kept touching my hair because I couldn't believe a shampoo that claimed to deliver beautiful hair lived up to its claim. While the shampoo didn't tackle other hair issues like hair fall, it instantly became a favorite. The only thing missing was a hair mask. Dove, at the time didn't have one and I used to tell myself that I would be the first to purchase should they launch it. I can go on and on about my love for Dove (even my parents love it! )- it's one brand that hasn't disappointed me throughout the years. It has evolved, launching different products with the promise of beautiful hair and skin (have you tried their body range? The shower gels and body lotions are amazing!). Read my other reviews on Dove's Purely Pampering Body Cream and Ultimate Nourishment Range. So, when I was sent the latest from Dove- the Hair Fall Rescue System, I had a smile on my face which read as, "Hi there, ol' buddy." The Dove Hair Fall Rescue System consists of 4 products: shampoo, conditioner, leave-on-intensive root treatment (or a leave-in-conditioner) and a hair mask. Dove states that majority of the hair fall occurs at the roots and the Hair Fall Rescue System is designed to combat this particular problem. The products in this range contain Trichazole Actives, which act as a root strengthener or root 'glue' thereby, keeping the hair firmly in place at the roots. Let's get started with reviewing these products, shall we? I put all 3 products to test for a period of 3 weeks (Dove suggested 2 weeks). While the Hair Fall Rescue shampoo has a slightly thicker consistency, the conditioner is much lighter. Both have a subtle yet pleasant fragrance that tends to linger on long after the hair has been washed. I usually avoid using conditioner because, let's face it- it's a hassle to slap conditioner on your hair, then wait for 5 mins until it does its work. In other words, I am devoid of patience. Since I wanted to know if this range lives up to its claim, I religiously used the conditioner. From the first wash, my hair was soft to touch. I don't know what secret ingredient it is, but it's present in every Dove shampoo (and most probably, conditioners). It instantly makes my hair soft, I'm not exaggerating! I know some girls who mentioned Dove shampoos weighs down their hair but it works perfectly for me. This is one of the things I absolutely love about this brand. Even their soap makes my hands soft! Moving on...the star product of this range is the Leave-On Intensive Root Treatment. Leave in conditioners have a special place in my heart. It gives me great satisfaction knowing there's something that's working around the clock to keep my hair healthy. The Leave-On treatment is no different. Did I mention how easy it is to use? You snap open the mini lid and apply the product directly from the tube. It is clear and has a consistency that is slight thicker than water. It is applied on the scalp as opposed to on the hair. Massage the product and style hair as usual. It does not leave the hair looking oily/greasy and neither does it weigh it down. I love this. I love the fragrance, the benefits...I love everything about this leave-on treatment/conditioner. So, what about the results? Dove claims that you will notice a decline in hair fall from the first wash. As much as I love the brand, I have to say that wasn't the case for me. What I did get from the first wash is truly soft hair, which I love. I started to see the results of the Hair Fall Rescue Range close to the end of the 2nd week, so you could say 3rd week as such. I noticed there aren't as many hair strands stuck in the hair brush anymore (you have no idea how happy I am). It's not a drastic change but even a little improvement when it comes to hair fall is appreciated! I've said this a hundred times and I'll repeat once more- my hair is softer and smooth. I am impressed with the results and will continue using this range. I will be purchasing the shampoo and leave-in conditioner (I'll skip the stand-alone conditioner for now) once my current supply is depleted. This range gets my seal of approval! Have you tried this range? 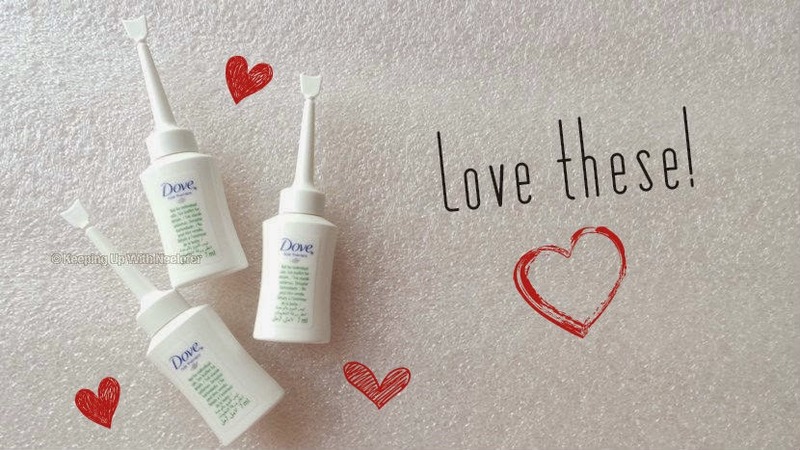 What's your favorite from Dove? Sound off in the comments section below. 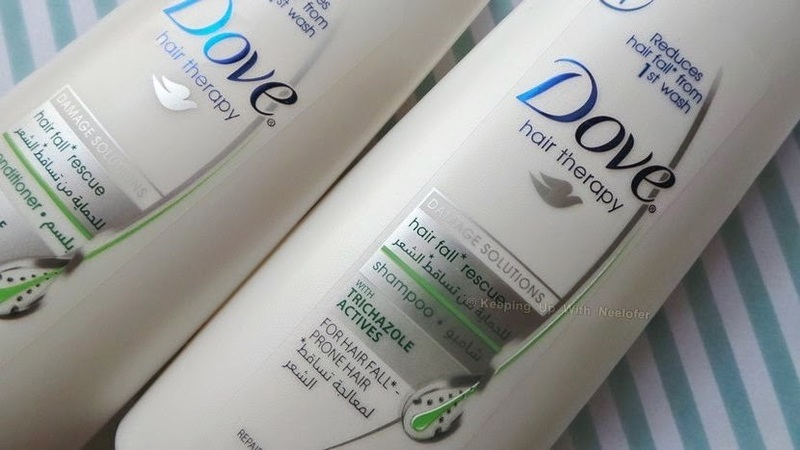 The Dove Hair Fall Rescue range is available supermarkets and hypermarkets across the UAE. Oh I love Dove Products too and I have tried this one and I really like it.